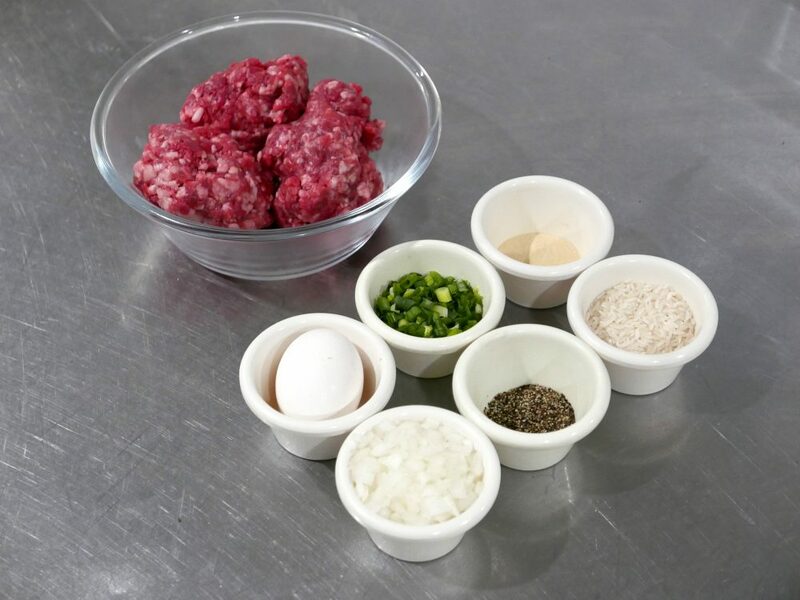 In a large bowl, add ground beef along with the onion, green onion, egg, black pepper garlic powder and rice. Mix together with your hands. 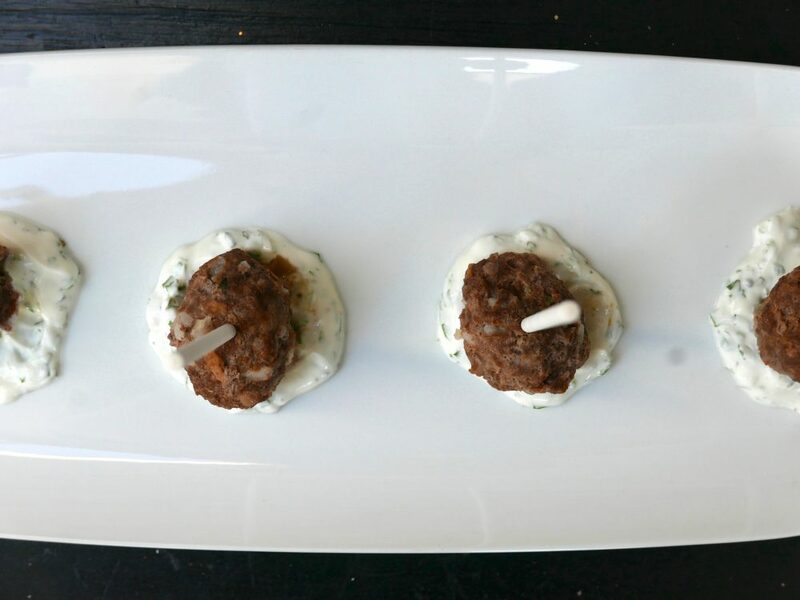 To form meatballs, take a 1 oz of meat and roll into balls with your hand. In a large pot, bring broth/water to a boil and then add meatballs. Bring broth back to a boil after all the meatballs have been added and boil for an additional 5-10 minutes. Remove meatball from broth. Set aside until cool enough to handle and then gently insert lollipop stick in center of meatball. Next make the Cilantro Yogurt Dipping Sauce, combine yogurt, cream, cilantro, salt and pepper in a medium bowl and mix together. 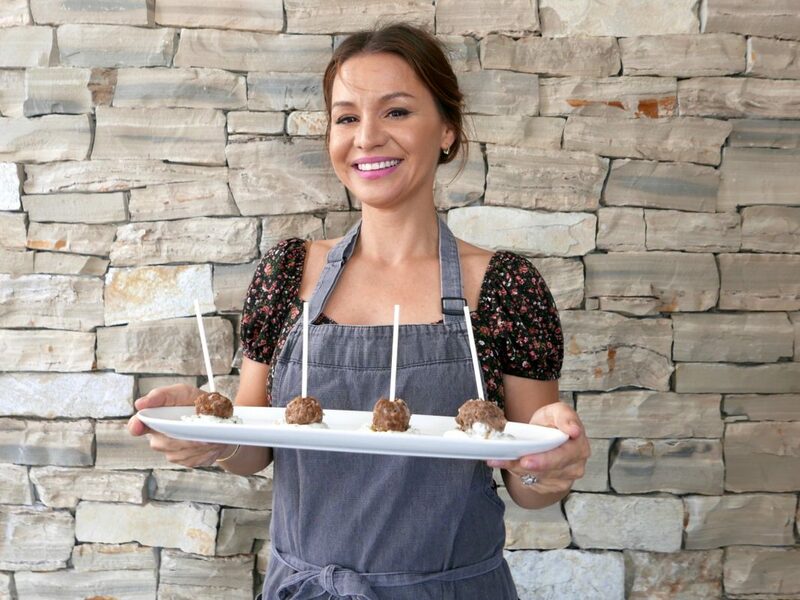 To serve: add a teaspoon of Cilantro Crema Dipping Sauce to bottom of dish and place the Albondigas Lollipop directly on the sauce.